This list contains the most common abbreviations and terms used by pacemaker and implantable cardioverter defibrillator (ICD) patients in our forums. A-A Interval: Interval between two paced atrial contractions. When there is an atrial contraction for each ventricular beat, the A-A Interval is the same as beats per minute or heart rate. A-A Interval is usually measured in milliseconds (ms); one ms is 1/1000 of a second. A normal A_A Interval is between 600 and 1000 milliseconds or 60 to 100 beats per minute. 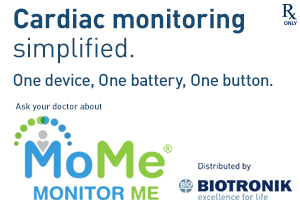 AICD: Automatic Implantable Cardioverter Defibrillator. AICD is a Guidant trademark. ADL: Activities of Daily Living. Includes activities like feeding oneself, bathing, brushing one’s teeth, etc. AF or AFib: Atrial Fibrillation. Although not usually a life threatening arrhythmia, atrial fibrillation can cause a loss of ‘atrial kick’; responsible for about 25% of cardiac output. It is a condition where the muscle cells of the atria do not contract at the same time but each cell at its own rate. This results in a ‘quivering’ of the atria instead of a contraction that would push the blood into the ventricles. AP: Atrial Pace; when a pacemaker or ICD paces the atria (stimulates it to contract). ApVp: Atrial Paced Ventricle Paced. This is the rate response mode. ARB: Angiotensin II Receptor Blocker used to decrease blood pressure in people with heart failure. AS: Atrial Sense; when a pacemaker or ICD senses depolarization of the atria when the heart depolarizes on it’s own. The muscle must depolarize to initiate a contraction. AV: Atrioventricular; meaning of the atrias and the ventricles. BBB: Bundle Branch Block; a block in conduction of electrical activity in one of the three bundle branches. BOL: Beginning of Life; a term used to describe the battery condition of a new pacemaker or ICD. CCB: Calcium Channel Blockers, prescribed to treat angina (chest pain) and high blood pressure. CO: Cardiac Output; the amount of blood the heart ejects in one minute. It is the stroke volume (amount of blood ejected in a single heartbeat) times beats per minute; usually measured in liters per minute. EGM: Electrogram; an "EKG" measured from within the heart instead of from patches placed over the chest. Because it is less likely to pick up other electrical stimuli from other muscles it tends to be more accurate. EMI: Electromagnetic Interference; interference that can upset the workings of pacemakers and ICD’s; caused by high-energy forces; MRI’s, arc welders, transformers, can all cause interference with pacemakers/ ICD’s. EOL: End of Life; a term used to describe the battery condition of a used up pacemaker or ICD. When and ICD or pacemaker is approaching EOL your cardiologist will schedule surgery for a replacement. EP: Electrophysiologist; a cardiologist who specializes in electrical problems or arrhythmias of the heart. EPS: Electrophysiology Study; there are two main workings of the heart: 1. the plumbing and 2. the electrical circuits. A cardiac catheterization studies disease in the ‘plumbing of the heart’ (blockages in the arteries of the heart) and electrophysiology studies disease in the electrical circuits of the heart). ERM: Elective Replacement Mode, pacemaker goes into a fixed pacing rate when the battery is getting low. mA: Milliampere; 1/1000 of an ampere; used to describe current flow of a pacemaker or ICD. NGB: Generic Pacemaker code; code used to describe pacemaker functions. Usually 3 or four letters. 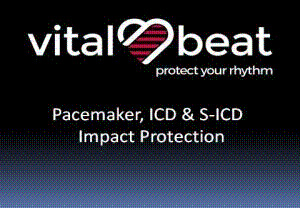 DDDR is a common code for pacemakers and ICD’s. The first letter signifies the chamber paced. V means Ventricle, A is Atrium, D is both or Dual, O is none and occasionally S is used by some manufacturers to mean Single. The second letter indicates the chamber that is sensed (the ICD/ pacemakers detection of electrical activity). The third letter indicates the pacers response to sensing; T means it will trigger pacing, I means it will inhibit pacing D means it will do both inhibiting and triggering, and O means none. The fourth letter is for programmability functions—Rate responsiveness. P is simple Programmable; M is Multiprogrammable; C is Communicating functions (telemetry); and R is Rate Responsive. If a fourth letter is present it is usually rate responsive. Therefore, a pacemaker or ICD that is DDDR means the pacemaker is pacing electrical activity in both the atrium and the ventricle and it is sensing activity in both the atrium and the ventricle. When it senses an event it will either trigger a response or inhibit pacing and the rate is responsive (the pacing rate will change in response to sensors that detect changes in metabolic needs to increase the cardiac output). NSR: Normal Sinus Rhythm. The a normal EKG waveform. PAC: Premature Atrial Complex. If the atria conduct a beat before it should they will not fill properly before contracting. If this occurs in the ventricle it is called a PVC or premature ventricular contraction. Both can lead to ventricular tachycardia although it is more common with PVCs. PMT: Pacemaker Mediated Tachycardia. 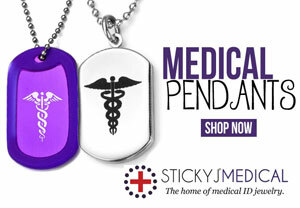 As the name implies, an induced tachycardia in persons who have either an ICD or pacemaker. This is a fairly rare tachycardia since the development of features in newer pacemakers. Anytime a pacemaker or ICD feels they have a racing heart rate it should be checked out by their EP. PSVT: Paroxysmal Supraventricular Tachycardia; Paroxysmal means abrupt onset and termination. SVT is an abbreviation for Supraventricular Tachycardia. This is a tachycardia that originates above the ventricles. It is often difficult to distinguish the difference between SVT and ventricular tachycardia by looking at the EKG signals. PVC: Premature Ventricular Contraction; occurs when the electrical signal that causes the muscle to contract comes too soon. The ventricle does not have enough time to fill before contracting. When PVC’s occur several times in a row and too close together, there is a danger of developing ventricular tachycardia or ventricular fibrillation. Although everyone has PVC’s, persons with damaged heart muscle have many more. SCD: Sudden Cardiac Death; a condition in which the heart develops a lethal arrhythmia and is unable to pump enough blood to sustain life. If untreated, the person with these lethal arrhythmias will die in minutes. The most lethal arrhythmia is ventricular fibrillation. It is different from a heart attack; a heart attack is a condition where blood vessels that supply blood to the heart are blocked and cause the heart muscle to die (that is the plumbing of the heart is defective). In sudden cardiac death, the electrical system of the heart is defective. SSS: Sick Sinus Syndrome; also called sick sinus node dysfunction. A condition where the natural pacemaker of the heart (the sinus node or SA node) initiates slow or irregular heart beats. Persons with this syndrome, if symptomatic, are surgically implanted with a pacemaker. SV: Stroke Volume; the amount of blood ejected by the ventricle in one contraction. The stroke volume times the beats per minute is the cardiac output. SVT: Supraventricular Tachycardia; a tachycardia that is initiated above the ventricles. It includes atrial tachycardia, atrial flutter and reentrant tachycardia that are not ventricular. It tends to be a catch all phrase of those arrhythmias that are not easily distinguishable from each other with an EKG. VF: Ventricular Fibrillation; a lethal arrhythmia in which the muscle cells of the ventricles contract at a different rate resulting in a ‘quivering’ of the ventricles. There is little or no cardiac output. A person in VF will live only 4-6 minutes before brain death occurs. A person with VF is said to be experiencing sudden cardiac death. VF can occur without warning. It is also the hardest arrhythmia to defibrillate back into a normal sinus rhythm. Electrophysiologists usually test ICD’s by putting the patient into VF and defibrillating the patient to see how many joules it will take to get the patient out of VF. VP: Ventricular Pace; when a pacemaker or ICD paces the ventricles (stimulates it to contract). VS: Ventricular Sense; when a pacemaker or ICD senses depolarization of the ventricles when the heart depolarizes on it’s own. The muscle must depolarize to initiate a contraction.